When people wanted to share music in the past, they generally made a demo tape. This would be sent out to dozens, hundreds, and potentially even thousands of music producers in the hopes of “making it big”. New technology has made the demo tape obsolete. The newest music trend is to feature music on the cloud. The cloud is the term given to storage on the Internet as opposed to being on a computer. There are a number of different cloud services that will allow software, services, and files to be run. If you want to share music with a large amount of people, the easiest option is to place the song or track into a sound cloud where it can then be accessed by anyone. There is the option of making it available to the general public or creating a private cloud that can only be accessed if a person has the link or a username and password. 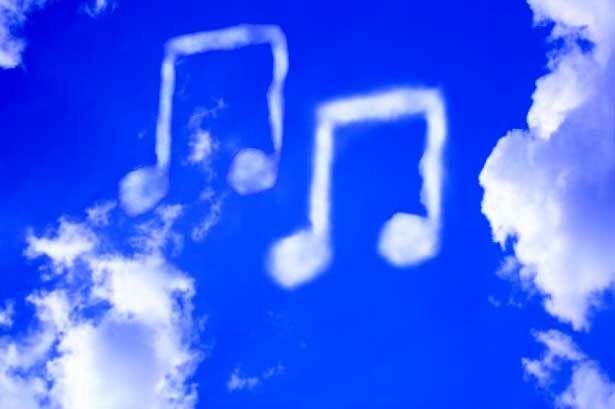 By placing music on the cloud, it becomes more accessible and easier to share with the masses. If you are getting ready to look for a job following graduation of music school, you may want to place some of your music on the cloud and then release it to different producers to show them what you have. It can also be advantageous to open it up to the general public so that the sound cloud will track how many people have already listened to the song. Producers look for marketability. If there are already several thousand listens on a song, they are going to be more impressed than if you had only a handful. This allows you to prove that you have what it takes to produce music that people want to listen to – and it may be what sends you over the edge to being able to get a record deal. You won’t have to worry about buying blank CDs or cassette tapes. It will be easier to get the attention you need by using the cloud for getting your music out to more ears. Once you have a song or recording that you are happy with, you can choose the best cloud. Sound Cloud is being used by a number of musicians and is designed for sharing and getting more listeners. From there, you can use the link that is created to share with potential employers, producers, and more. It is a great way to show off your sound, regardless of whether you’re a band, a solo artist, or an instrumentalist. Music school can only do so much for you. At some point, you have to use the knowledge you have gained over the past several years and use it to seek employment. When you want more people to hear what you can do, it’s important to use the technology that is currently available. The cloud is an affordable solution that allows you to get your sound to more people, all over the globe. Plus, you don’t have to worry about postage as you would with demo tapes.